Waterco W 250 & W300 MKII ★ Waterco Johor, Kluang, Malaysia supply ★ Azure Purewater Marketing Sdn.Bhd. 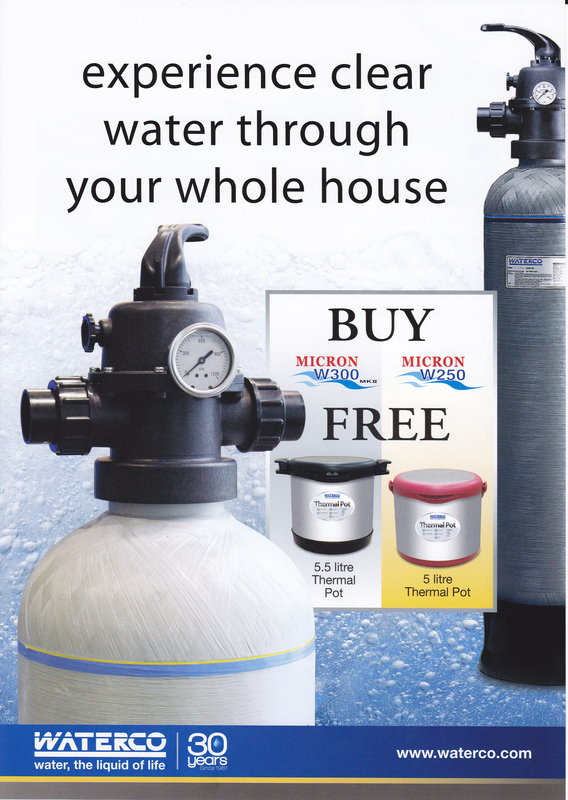 Micron W filters are designed to provide clear water through your whole house. 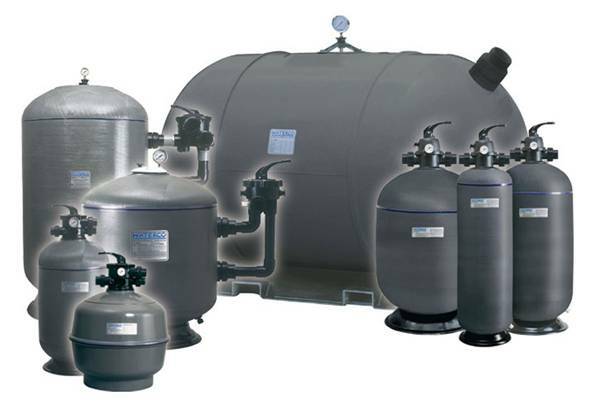 The filters redirect the incoming water supply through a bed of finely graded filter media. Micron W filters are capable of filtering out particles as small as 10 microns (0.01mm). 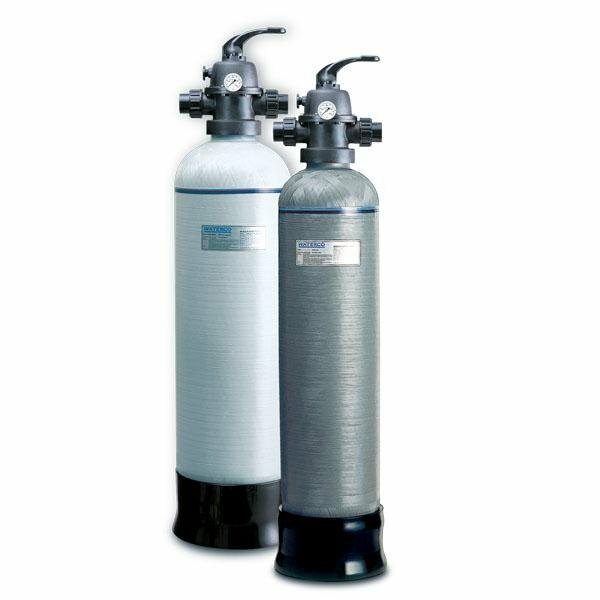 Cleansing the filter simply requires a turn of the filter Multiport Lever from the filter position to the backwash position. 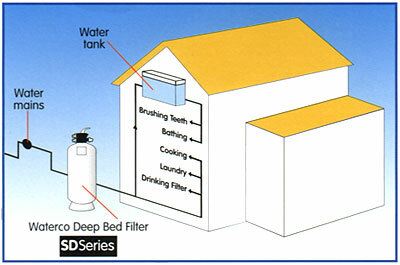 The flow of water is then reversed throughout the filter flushing the filter bed trapped contents out to the drain. Micron W filters are constructed from a blow moulded inner shell of fibreglass reinforced polyester resin over wound with fibreglass filament. Waterco digitally controlled filament winding machine faultlessly winds continuous strands of fibreglass filament to create a strong filter vessel with refined consistency and superior quality.